Westport resident John Borge was arrested in Westport on Oct. 2 according to Westport Police. 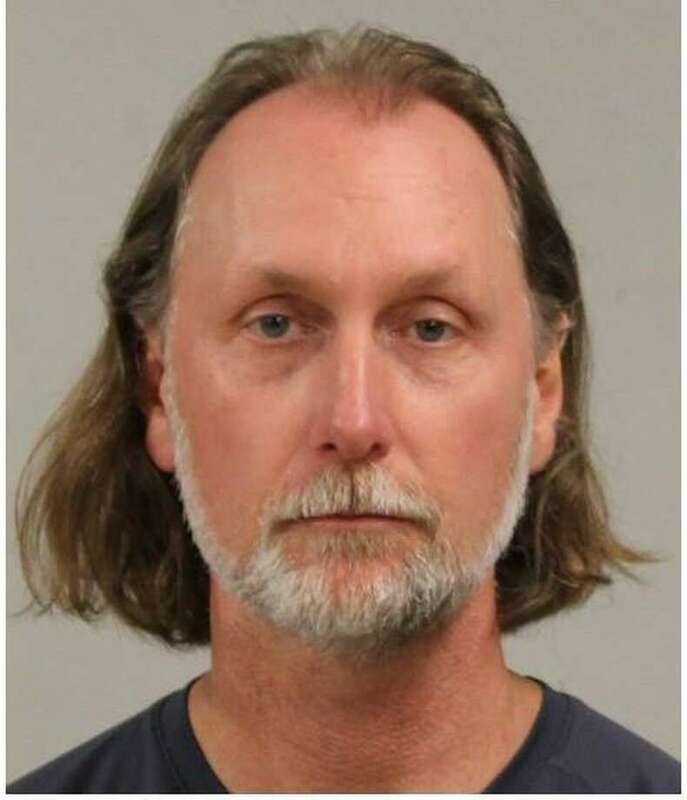 WESTPORT — A Westport man accused last month of spraying toxic chemicals in his neighbors yard has now been arrested for shining flood lights into his neighbor's house and keeping a pistol despite a protective order forbidding him to do so. On June 16, officers dispatched to a resident’s home on a report John Borg was shining three bright flood lights and one green light into her house from Borg’s property at 5 Sterling Road, police said. Three floodlights were on when the victim arrived home around 6:30pm and shortly thereafter, a strobe light came on as well, police said. Officers observed photos and videos of the lights shining into the victim’s home and learned the victim and Borg, 48, had an ongoing dispute that resulted in Borg’s arrest in September after which police issued Borg a criminal protective order prohibiting him from using lights to harass the victim, police said. Officers spoke with the victim’s advocate and learned the state attorney advised Borg’s attorney that Borg’s lights are considered harassment under the protective order. A civil judge also ordered Borg to remove the lights, police said. Police submitted a warrant for Borg’s arrest and on Oct. 2 around 7:15pm, he turned himself in at police headquarters, where he was charged with two counts of criminal violation of a protective order and second degree breach of peace and released after posting a $50,000 court set bond. Meanwhile, before Borg’s latest arrest, detectives executed a search warrant of his residence on Sept. 12 in regards to a previous investigation. During the search, police discovered Borg owned two handguns, which, at the time of the search, Borg possessed legally, but on Sept. 17 and again on Sept. 19, Borg was given a protective order that required Borg to surrender all of his firearms and ammunition. On Sept. 20, state police notified Westport police that Borg’s pistol permit was revoked and he was required to turn over the pistol permit and any firearms in his possession by selling them to an authorized firearms dealer or giving them to local or state police, police said. State police later notified Westport they received no documentation Borg turned over his weapons and was therefore in violation of his protective order, police said. After police contacted Borg’s attorney, he still did not surrender his weapons and police submitted a warrant for Borg’s arrest. On Oct. 3 around 7:15pm, Borg turned himself in at police headquarters, where he was charged with criminal violation of a protective order, criminal possession of a firearm, and failure to surrender revoked pistol permit and released after posting a $100,000 court set bond. Borg got in trouble with the police once more on Sept. 30 when was again accused of harassing his neighbor. Around 7:45pm that night, officers dispatched to the victim’s residence on report of harassment and found additional flood lights installed on Borg’s property. Some of the lights were active while police spoke with the victim. One of the fixtures was a multi-color pattern light that shone directly in the victim’s upstairs bedroom. Police submitted a warrant for Borg’s arrest and on Oct. 2, he turned himself in at headquarters and was charged with criminal violation of a protective order and breach of peace and released after posting a $50,000 bond. For all of his charges, Borges is scheduled to appear in the state Superior Court of Norwalk on Oct. 12.